Alabama Hills is a cool range of rock formations and hills with a backdrop of the Sierra Nevada. It’s home to the well known Mobius Arch, but the real treat is watching the sunrise light up the peaks of Mount Whitney and the entire mountain range. 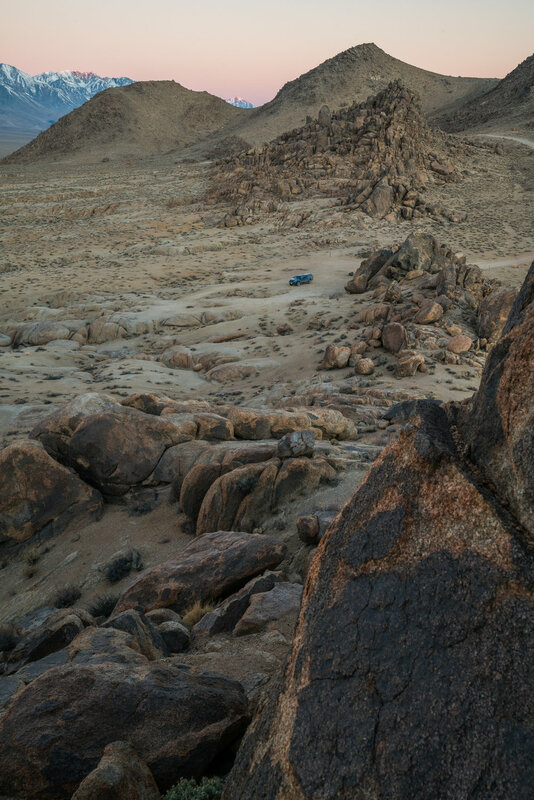 The great thing about Alabama Hills is that there are tons of free camp sites with a great view of the mountain range. The only down side is there are no amenities (bathroom, showers, etc). Some sites will require a four-wheel drive with high clearance, but most will not. Know that all roads in this area will be dirt roads. Google what time the sunrise is for the time you plan on going and be sure to wake up a bit early to watch the free show. Buy some firewood in town so you can continue the party into the night. Leave no trace - pick up all of your trash!